Punj Rattani Dal- Punj Rattani Dal, "Dal of Five Jewels", is a dal fit for a feast, made of 5 different pulses - chana dal (split chickpea), toor dal (split pigeon pea), sabut moong (whole mung bean), sabut urad (black gram) and sabut masoor (whole red lentil). Add approx. 2 litres water and bring the lentils to a boil. Reduce to low heat and remove any scum. Add coriander powder, red chilli powder, turmeric and salt. Cover and simmer until lentils are cooked and two-thirds of the liquid has evaporated. When using the pressure cooker, after adding the water, I immediately add in the coriander, red chilli and turmeric powder, put the lid of the cooker on, and let it cook for about 3-4 whistles. Then I lower the heat and keep on the flame for 20-25 minutes. Once the pressure leaves, open the lid and proceed as follows. 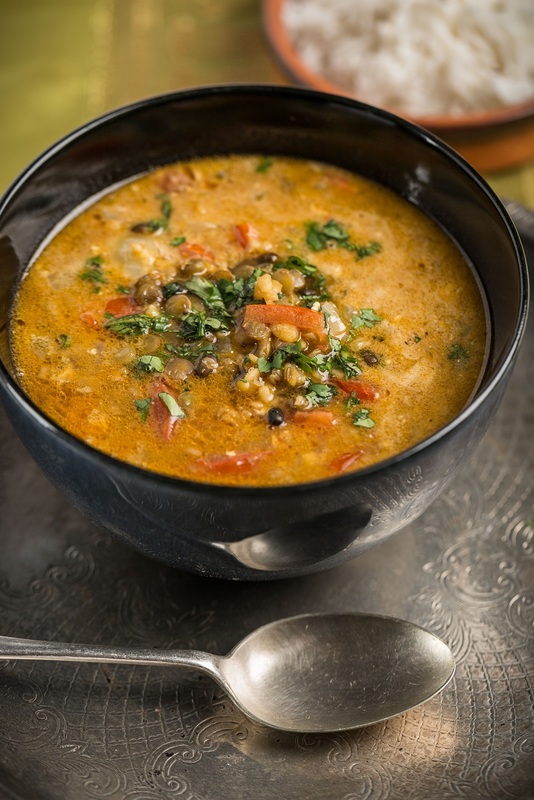 What do you think of this Punj Rattani Dal: Recipe?